RAVENOL HVE High Viscosity Ester 10W-50 Engine Oil is a newly developed synthetic motor oil with a unique formula, specially designed for high mileage vehicles from approx. 60,000 miles and is suitable for both petrol and diesel engines, with or without a turbocharger and direct fuel injection. The unique additives in RAVENOL HVE 10W-50 Engine Oil offer exceptional cleaning and maintenance for your engine, critical engine components are restored and seals are given extra protection. This means that the service life of vehicles can be extended, particularly in older, higher mileage vehicles. 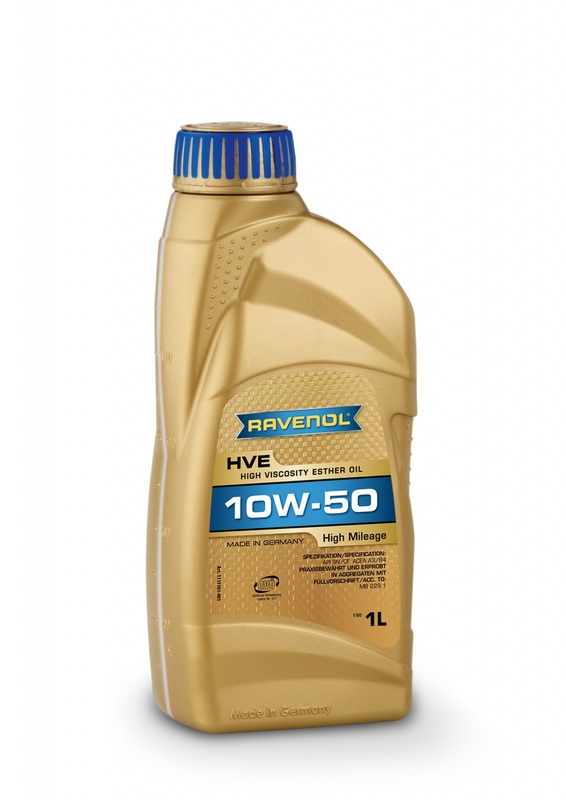 RAVENOL HVE 10W-50 Engine Oil has excellent lubricating film adhesion and high shear stability. Its engine-maintaining additives help to reduce oil consumption, offering protection against both sludge formation and wear and tear. RAVENOL HVE 10W-50 Engine Oil is ideal for year-round use in high mileage petrol and diesel engines which have covered 60,000 miles or more and offers the additional benefit of keeping oil consumption low. It extends the service life of the engines of older vehicles by protecting against sludge formation and wear and tear, meaning lower oil consumption. Your engine is guaranteed to be exceptionally clean!